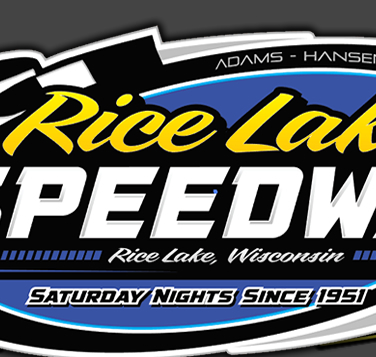 RICE LAKE, WI (May 17) – Dave Cain was happy he made the decision to return to the Rice Lake Speedway Saturday night. The Corcoran MN veteran and former WISSOTA National Modified Champion made the trek back to Rice Lake Saturday night after the Modified feature fell victim to rain last week and he made the trip worthwhile, winning both the makeup feature and the regularly scheduled event. Throw in a heat race triumph and Cain scored a rare clean sweep of the open wheel cars. Other winners Saturday included Curt Myers, Shane Sabraski, Cody Kummer and Jason Havel. Sixteen of the twenty qualified cars from last Saturday’s rained out Modified main returned to take the green and what developed was a rather strange event, with cars dropping like flies from the event for various reasons. Mike Anderson got around Jake Miller to take the early lead but he was soon challenged by Jesse Glenz for the top spot. Glenz was flying and he raced under Anderson to take over the lead and immediately began to put distance on the field. Anderson was unable to keep pace with Glenz as Cain started to move into contention by passing Tim McMann and taking over the third spot. Anderson fell to the bad luck that many were having when he blew a rear tire and limped off the track. This turned over second to Cain but he was a full straightaway behind Glenz. Then the unthinkable happened. Glenz, less than two laps away from an overpowering victory suddenly lost power and stopped on the back chute, the victim or rear end problems. Suddenly, Cain found himself in the lead and he cruised home the last two laps to beat McMann, Mark Hessler, Paul Brust and Matt Leer to the finish in a race that saw only half the starting field take the checkered. However, despite all the drop outs, when the regularly scheduled program commenced, only the cars of Glenz and Kevin Adams were missing and both borrowed rides to run the rest of the program. The Modified finale was much closer and produced a bit of controversy. Again Anderson found himself on the front row for the start and once more he took the early lead. Leer and Cory Mahder were battling for second along with Neil Balduc when Mahder went around, triggering a yellow flag. Anderson continued to lead as Cain worked his way up from a fourth row starting spot. Eventually Cain would move into second and then the battle was on as he tried to get past Anderson. The leaders were running hard and close and going into turn one they both drifted up the track with Anderson running out of racing room as Cain edged past him for the lead. However, Anderson didn’t back down, and he ran right behind Cain, trying to dive under him in each corner. A late spin set up a two lap sprint to the line and Anderson gave it his best, getting under Cain off turn four as they came dangerously close together. However, Cain held on and flashing under the line with a car length advantage at the checkered over Anderson. Hessler had another solid finish in third, edging out Shane Sabraski and Ashley Anderson, who started twelfth. Myers continued his hot streak at area tracks, winning the Super Stock feature with a dominating performance. Shane Kisling took the early lead and looked to be hard to catch, but Myers was able to reel him in and with a hard dive into turn three, drove under Kisling to take over the lead. Once in front, Myers checked out on the field as the battle settled in behind him for position. Willie Johnsen Jr. was on the move and then Eric Olson also picked up the pace. Kisling started to struggle and slipped back in the field as Johnsen moved into second. However Olson was having his best run of the young season and he drove under Johnsen for second. With the race going nonstop, Myers built up a comfortable lead as he cruised to the checkered. Olson finished a strong second with Johnsen Jr edging out Sabraski by inches for third and Wayne Stricker completed the top five. Sabraski found success in his third entry of the night as he edged Ryan Viltz for the Midwest Modified feature win. Travis Anderson outfought Mike Schnider to take the early lead in the Mid Mod feature but Sabraski and Tito Viltz were battling hard to get to the front. Sabraski was able to find an opening following a yellow when Mike Truscott was sent airborne by another competitor and slowed, triggering a yellow flag. Sabraski bolted into the lead but Tito wouldn’t let him get away as he continually challenged the former National Champion. But the driver on the move was Ryan Viltz as he charged up from the fourth row to battle his brother in a body rubbing, entertaining battle for second. As Ryan edged past Tito for second, Tito tried just a little too hard to regain the spot and he spun in turn four, setting up a two lap sprint to the finish. Ryan Viltz had plenty to offer Sabraski on the green as he got even with Shane off turn four. The final lap saw them race side by side and coming off the final corner, Sabraski had just enough to hold off Ryan for the win. Shane Halopka put on a strong charge to get up to third ahead of Nick Koehler and Anderson. The Street Stocks also put on a great, five car battle for the lead in their nonstop main with Cody Kummer finding the openings to drive to the front late in the contest and take his first win of the year. Simon Wahlstrom had by far his best run of the season and led a number of laps, with heavy pressure from Kummer, Ron Hanestad, Adam Soltis and Scott Clark. Wahlstrom continued to hold the lead while the cars behind him were in a wild frenzy, swapping positions and places on the track constantly. Kummer managed to get on the inside of Wahlstrom and make a pass for the lead down the back chute, and as the four behind him continued to duke it out, Cody was able to gain a couple of car lengths while they battled each other. Kummer continued to set the pace as he drove home for the win, with Hanestad making a late rush for second ahead of Clark, Soltis and Wahlstrom. A late yellow flag allowed Jason Havel to make a pass of Hunter VanGilder and become the first three time winner at the speedway as he won yet another Pure Stock main. VanGilder had started on the pole and led the entire contest, fighting off challenges from Joel Hinrichs and Nick Traynor. Havel started ninth on the grid and patiently worked his way to the front, taking over the spot from Traynor following a yellow on lap eight. Havel pressured the leader but VanGilder hung tough but as they were racing for the final tour, James Clausen got into the front stretch wall, triggering a yellow and setting up a two lap sprint to the finish. This time Havel was able to get under VanGilder down the back chute. They raced side by side through turn three but Havel took the lead as they raced to the white flag and he extended his advantage by a car length on the final lap, taking the win. VanGilder finished a close second and was chased home by Traynor, Hinrichs and Jay Folz. 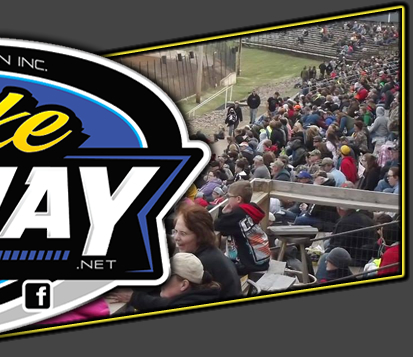 Next Saturday night, May 24, the first special event of the year comes to the Rice Lake Speedway. 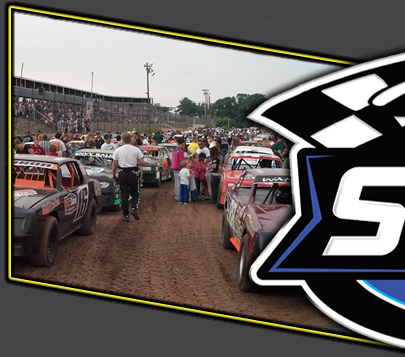 Not only will all five classes that normally race at the speedway be in action for a full program, but the Upper Midwest Sprint Car Series(UMSS) will be in action as well. Following a very successful program at the track last year, they will return with not one but two different types of sprint cars. Both the winged sprint cars and the non winged, traditional sprints will run full programs and nearly three dozen of these cars are expected to be on hand. Warmups are slated for 6:30 p.m. with racing to follow.